Prince George, B.C. – Prince George Mayor Lyn Hall has issued a public thank you to the hundreds of volunteers who’ve assisted Cariboo residents displaced by wildfires. 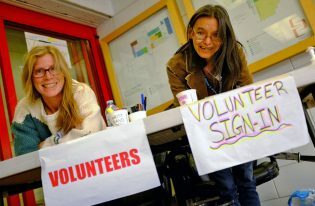 “Hundreds of volunteers have filled roles in registration, meeting and greeting evacuees, providing lodging, and organizing activities for children,” he says. According to the latest numbers from the City of Prince George, the number of wildfire evacuees in town has passed 9,000.